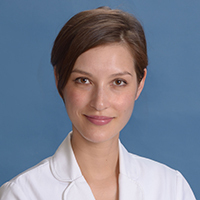 Dr. May-Lin Wilgus is an Assistant Clinical Professor at UCLA. Born and raised in Texas, Dr. Wilgus earned her bachelor’s degree at UC Berkeley and her medical degree at the University of Texas Southwestern Medical Center. She received her Internal Medicine and Pulmonary/Critical Care training at Columbia University Medical Center, and then served on the faculty of Baylor College of Medicine in Houston, Texas. Immediately before joining UCLA in 2017, she spent 4 years providing care to Ventura County in private practice. Now, she brings the resources of UCLA to the Ventura community, treating patients for the full spectrum of pulmonary conditions, including COPD, asthma, interstitial lung disease, and lung cancer. Bronchiectasis is a condition that affects the airways to the lungs. It's often caused by an infection or other inflammatory condition. You can also be born with it. Work-related lung diseases are lung problems that are made worse in certain work environments. They are caused by long-term exposure to certain irritants that are breathed into the lungs. These lung diseases may have lasting effects, even after the exposure ends. Sarcoidosis is a rare disease caused by inflammation. Sarcoidosis in the lungs is called pulmonary sarcoidosis. It causes small lumps of inflammatory cells in the lungs. These lumps are called granulomas and can affect how the lungs work.